Please welcome "Miss Pearl," AOA's new advice columnist. She'll be offering advice here once a month. Got a question for Miss Pearl? Send it along to MissPearl |at| alloveralbany |dot| com. We live in Albany. We have a cute (small) house on a nice street. And I'll always have good memories of starting our family here. But we want to have another baby. So we need the space. And our child will be starting school in a few years. And... we're thinking about moving out of Albany. Five years ago I don't think I would have ever thought we'd leave. Our house is close to both of our jobs, and we can walk to some stuff in the neighborhood. And we have some really nice neighbors. But the taxes on our small (cute) house are not small. And the schools... the schools kind of worry me. I don't want to be the person who moves to the suburbs "for the schools." Just a few years ago I would have totally judged someone for doing that, like they were bailing on some responsibility to stay and help make things better. I always had this image of us as being... well, not suburbs people. But now we're thinking about it. Should we stay? Go? And am I hypocrite for wanting what I think I now want? Sometimes comfort comes at the expense of valuable experiences. I grew up in suburbs and had no exposure to ethnic diversity, the arts, or any independent thinking. I didn't meet a Latino person at all until I was 25. Sure, I had amazing literature teachers who set me on a lifelong path of reading, and the safest, healthiest of physical settings, but it was boring, materialistic, and insanely competitive. If you head for the suburbs, your kids may miss out on really getting to know people with vastly different backgrounds -- getting to know their families, eating their cooking, and gaining a sense of understanding which just can't be obtained in a classroom. Sometimes we want to be cool and worldly, and sometimes we just want a basement and a garage. I have a friend who encountered this same issue, and she always felt that if she took her kids out of the inner city school she would be depriving the inner city of one more engaged parent -- so staying was worth it even if the schools in the neighboring town were considered better. (She always reasoned that her kids would do well as long as they had attentive parents doing everything they could to help them succeed.) Now her kids are off at college, and her daughter is attending one of the most elite liberal arts colleges in the country. Coming from a place where she wasn't coddled everyday, with diverse best friends (Haitian, Chinese, and low income), my friend's daughter possesses a maturity I don't think I had at that age coming from my overprotected upbringing. It's possible she ended up being better off than if they had moved. Sometimes we want to be cool and worldly, and sometimes we just want a basement and a garage. So I don't judge. But beware that sometimes the grass looks greener on the other side because it's astroturf. I'm in my late 20s and I moved here about a year ago for work. And I'm finding it really hard to make friends here. I'm friends with a few people from work. But they're more like work friends than close friends. I thought moving here would be kind of like going to college and I'd meet a bunch of new people. Instead, it's just occasional drinks with people from work and watching a lot of Netflix by myself. And I don't know if it's this place, or getting older, but I'm finding it hard to even get started making friends with new people. It's something I never really thought about in the past. You know, it just sort of happened. Until now. Am I missing something about people here? Or is there something I should be doing? Twenty years ago when I casually ran into the person who'd become my best friend in a 7th grade math class, I assumed the situation would repeat itself over and over again throughout my life. But just like a romantic partner, our relationship works because of personal compatibility. We didn't become friends just because we ran into each other -- we became friends, stayed friends, and still talk on the phone for hours like we're teenagers because she's special (fun, strong, and hilarious) and the right person for me. But real friends -- drive you to the airport, tell your salary to, cry to when your grandmother dies, help you redecorate your apartment when you break up with a jerk ex-boyfriend friends -- that's the stuff of legends. And you can't get that just by wanting it. On the other hand, acquaintances are easy to come by and also play an important role in your life. For this I recommend finding whoever is close around you with tons of friends and stealing all their friends. Showing up is most of it. You need to put your pants on even if you'd rather watch TV all night. And throw parties for no reason. Before you know it, you'll have a whole group of people who can't even remember a time when you weren't there. You never know who you are going to meet though, and it doesn't hurt to be friendly and generous, to be the sort of person you'd be friends with if you were someone else. If you try to be an open-minded person who's forgiving of the faults of others, I'd say that increases your chances of finding friends who feel like family in the best possible way. I'm from the area, but still found it somewhat difficult to make friends when I moved to Albany... until I started playing kickball this spring! I had some hesitations about joining at first, but I've made more really, really good friends in the last 6 months through kickball (and the subsequent happy hours, dinner parties, volleyball games with these people) than I did in the first 2.5 years that I lived in Albany! I think this is a great addition to AOA! I hate the be the bringer of bad news, but you can move to the suburbs and still ensure your kids get exposed to a diverse culture. Indeed if more socially conscious folk moved to Delmar it wouldn't be so infuriating to live there. Well. I just clicked over from FB to check this out. I'm a big fan of the site, but not typically an active commenter. I am responding here left handed on my phone with a nursing/sleeping baby in my right... so please forgive any mistakes, but I just had to chime in! I have experience with both questions! I moved to Albany from Long Beach NY about 6 years ago. Eyeing Bethlehem... I lived in Albany, fell in love, appreciated much of what the city has to offer. Then I got pregnant and moved to Glenmont. I love it here more and more every day. The advice given above calls the suburbs "competitive" yet alludes to one being unable to be cool and worldly while having a garage and basement, i suppose by living in the suburbs. Who you are, who your family is and what their values become are not going to change by moving 5 miles away. We still appreciate Albany, but don't have to deal with any the headaches. And while I love it, there is not a lot of diversity in Albany, it's very segregated. Do what is right for your family, expose them to sites and experiences that are important to you, and your values will shape your children into becoming kind, interesting people. when I moved here 6 years ago. Joining groups with people with similar interests has led me to meet some of the lovliest, most caring people whom I am honored to call true friends. In my experience, people tend to be a little more reserved here (I grew up downstate) but once you get to know them, they are genuine and loyal and will be friends for life. I agree with Shawn, Miss Pearl is great! This is great, thanks AOA! Miss Pearl's response to Eyeing Bethlehem is right on. I never thought as seriously about schools until I had a kid, and he's not even school-age yet. So I understand that parents need to make decisions that they feel are best for their children, and every child is different. Honestly, I hear about great things happening in Albany schools every single day. Did you know there's a dual-language program? 5 year olds are speaking fluent spanish. This is the only program of its kind in the Northeast. Albany schools also offer more foreign languages than any other school in the region, same for the number of Advanced Placement classes. Did you know that 5 Albany High School seniors have been named Commended Students in the 2015 National Merit Scholarship Program? And the marching band is headed for Ireland this St Patrick's Day? Plus, since the district has neighborhood elementary schools, kids can walk or bike to school instead of being carted around and inhaling diesel fumes from an old school bus. And instead of sitting in traffic on Delaware Ave or 9W trying to get home to Bethlehem, you can be home already spending time with your family. Some of the most successful and greatest people I've met here, including my husband, are Albany High School grads. Don't be worried about Albany Schools, be prepared to be surprised! The number one reason to move out of Albany is the schools. Albany? If you can graduate and get to a college, you're the exception, not the rule. There is something to be said for the diversity (not just for race, but also economic class) in Albany schools. But if you want your child to get into a good school after graduation, you've got to be absurdly diligent AND lucky. I still don't understand the objection to the Albany School District when you look objectively at the socio-economic outcomes. The school district, hands down, offers far more than its suburban peers (hence why Albany taxes are more), by investing in the following: most AP classes in the region (22 by my last count); specialized magnet schools for parents and/or kids to focus on a subject they are passionate about (e.g. art, math, technology, etc); is tied into many of the regional companies that are 21st century job sectors (think NANO and Global Foundries); one of only two schools in the region to offer the International Baccalaureate Program; etc. At the end of the day, Albany is a really undervalued gem in the Capital Region. My one kid has gone through the system and the other is nearing graduation and had no problem what so ever and have a leg up over their suburban peers when entering the college/job market, by having access to all of these options (again, high taxes = great options, something many suburban school districts donâ€™t invest in for fear of getting labeled â€œhigh taxâ€ communities). Yes, graduation numbers look scary, but this should not be the only criteria to judge a school by and when you dig deeper into those numbers, you uncover some wonderful and unfortunate news. First, if your kid is in the middle class, they graduate on time, excel in this school district and come out having participated in many exciting opportunities. On the other hand, the graduation rates do show that the school district does face a significant task in connecting those from more socio-economically challenged backgrounds, to all these wonderful programs. Unfortunately, parents are either struggling to make ends meet, draining them of the energy to ensure their kids are focused on their educational pursuits at home (teachers can only babysit them for 8 hours of the day, so you canâ€™t complete blame the teachers) or are ill-equipped to provide the support their kids need outside of the classroom. Fortunately, I was able to provide this support at home for my kids, but many parents canâ€™t, and the school could do a better job at providing that safety net at the home or building bridges out to the parents to give them the resources/tools to extend the educational experience outside of the classroom. Until then, the district is unfairly maligned by those who believe every student is coming out of it as a dead-beat which is not the case. In the end, if you are by your kidâ€™s side after school to help them through their homework, encourage them to be involved in recreational pursuits afterschool, and offer them educational experiences outside of the class room, the Albany School District is a huge opportunity for you kid. Plus, you can enjoy all of the other benefits of living in the city. Looks like someone beat me to it, but if you need friends, just play kickball. It's low pressure and all about socializing anyway. Even if you quit after a season cause you don't like it (an absurd notion) you will have slightly altered your habit of netflixing your life away and realized it's no so hard actively trying to engage with others. I went to Shen and found it to be wonderfully diverse and my educational experience seemed a lot nicer than my girl's, who attended AHS. No reason to poo-poo some of the suburban schools as too white. I can only speak from our personal experience, and I have experienced a strong sense of dedication from the Albany school system to date. Our kiddo attends the New Scotland Elementary school, and it is chock a block full of active parents and teachers who have no problem connecting with you at 9:30 pm to talk us 'grups' about homework. The bonus for us it that it's a simple three block walk to school. My son has made friends with kids as far away as Ethiopia and Somalia as well as the 'regular old' kids down the block. Color us happy thus far! What is 93 and 49? Bethlehem and Albany's high school graduation rates. Which would you rather have? The Albany Free School is a great school in the City of Albany. The teachers, parents are very involved in the community and ensure all students get the best possible well rounded education. if you want a bigger house with lower taxes and higher rated schools than Albany, then that's what you want. Find where that place is for you and move accordingly (and honestly, who cares what others think? People change as their needs change). That said, I think the whole "suburban/urban" thing is as emotional and intrinsic as it is geographical. The things you like, the places you go, the restaurants and activities you currently enjoy may or may not change, but they probably won't change simply because you have a bigger house and a garage and live on "Nonesuch Lane" et al. Living in the suburbs doesn't preclude you from enjoying these things. Why do people have to hate on Albany schools? Trouble is everywhere (whether or not you live in a suburb), but can be avoided. That also means that if you are looking for it, you can find it. I know dozens of people whose kids have done extraordinarily well in the Albany Public Schools. For the most part they loved the teachers, the sports, the music and arts programs, theater, and none of their kids had any issues regarding safety, etc. The parents are, for the most part, middle class and well educated. Unfortunately, that matters a lot. Social class shouldn't matter in American education, but it does. I think if you're an attentive parent and well educated yourself, your child will do just fine in the Albany schools and be exposed to diversity and different experiences which are very valuable. I can give you the names of about 30 parents in Albany who would back up what I'm saying. Just to disclose my own thinking or prejudices, I did not grow up in a suburban environment, but I think it would have been extremely dull - everyone's the same! Is that reality? Is that the real world? Not in the least! Tray, Rebecca, Bill: I have news for you. The 49% graduation rate is not an indictment of the Albany Schools but of the impoverishment of many of the children who overwhelming live in Albany and the other cities in the region because affordable housing does not exist in the suburbs due to exclusionary zoning and no public transit. If the same population lived in Bethlehem or Niskayuna, your school statistics would mirror Albany's exactly. Yeah diversity... Spare me on my lack of enthusiasm. It's overrated. I moved here from my sheltered, 'white bread' town at 22 and I'm still trying to figure out why diversity gets so much applause. If anything, reality has been unkind to my appreciation of the arts, other cultures and urbanity. Looking back I was much more accepting of different ways of life than when I was faced with the reality here in little, old albany: Sometimes, it's just better to be in a place with good schools, lower crime, and 'less diversity'. You don't need to raise your kid sheltered from the world anymore than raise them in tougher one. So go live where you want and show them glimpses of 'diversity' on the weekend, you know like parents are expected to do. You don't need to be in the city school to raise a worldy child, that's on you. Albany schools are great----many more offerings than other schools in the area. If you want to accept test scores as the definitive indicator of a good education than steer clear of Albany. Also BTW the low graduation rate has a lot to do with transience that unfortunately comes with large numbers of families that struggle financially. I have had experiences in many, many different school districts in the last 2 years and I am even more confident in my choice to keep my own little schmoopie in his ACSD elementary school. With that said, to each his own, or as my fave French teacher taught me at Hackett, chacun Ã son goÃ»t. All I hope for all the kiddies out there is that they will learn to hope the best for all their fellow citizens of the world--------a lesson I learned during my 12 years in Albany public schools. To sum up about 1/4 of these comments: in Albany, poor kids don't graduate, while in Bethlehem poor kids don't exist. Therefore, by golly, Bethlehem has better schools. It's unfortunate that discussions about urban and suburban living end up as debates about which is "better." And even worse, these discussions are rife with stereotypes. Can we talk about where we live without having to prove we made the best choice? And can we stop with these stereotypes? The most interesting and fun place I ever lived was in Harlem. The least interesting place was in River North - a wealthy, yuppie all white neighborhood in Chicago. If you don't appreciate diversity, than what I say, maybe you're just not that kind of person and the suburbs are for you. I feel for the parent who is trying to figure out what to do because she wants the space NOW and has to make a decision about what to do, rather than waiting it out. It's a tough one. We lived in Guilderland when we first moved to the region, didn't like it at all, and were mildly depressed when we lived there. The people were friendly and nice, and I think the parents were a lot less anxious than they tend to be in Bethlehem, but we felt very isolated. Our kids weren't in school yet, but we made the decision to move to Albany, which a lot of people wondered at. Our reasoning was that even if we moved out when our kids got to be school age, we would have had a few years in an urban environment, which was more what we were looking for. Long story short, we tried out the schools - my oldest is in 11th grade and we are still here. And our mental health is in a much better place. One thing I didn't appreciate as a parent of toddlers when we moved to Albany is how liberating it would be to live in Albany for both parents and kids once they got older. Starting around age 8 or 9, kids are able to get to places like the library on their own, and around middle school age they start being able to take the bus or bike almost everywhere they need to be. I have many fewer chauffeur duties than my suburban friends. There is something to what Joe says above, though. As someone I know who lives in Albany once said to me, "It's easy to be liberal if you live in Delmar because you never actually meet anyone who is different than you." They may be a different race or religion, but their socioeconomic and values are similar. In Albany, your kids will meet many more kids whose behavior and values they may not really understand or agree with, which can be uncomfortable when they are still too young too understand all the factors that go into people's culture. On the flip side, I think kids can be more compassionate when they personally know a lot of kids who are facing hardships. My daughter has friends who have been evicted or are living in shelters, NOT because of their parents drug use or laziness, but because they live on the financial edge and one event that was out of their control can bring them down. I believe that having personally encountered stories like this will at least keep my kids from leaving anonymous vitriolic trolling comments about the poor like I see so many adults doing these days. And it may even spur them to try to address some of these systemic problems. My wife and I are in the same upcoming predicament as EyeingBethlehem. We both grew up out of state in a very diverse setting. However, unlike how we perceive most of Albany to be (where we currently live), the area we grew up in had different ethnic groups all spread across the same socioeconomic playing field. Albany feels quite segregated from neighborhood to neighborhood, ethnically and economically speaking. And because of that, kids seemingly don't truly get to experience that highly sought-after diversity until middle school, or even high school. I think the answer to this question comes more from the parents and where their strengths + weaknesses lay as teachers more-so than it does the characteristics that make up the cities / neighborhoods. Can I throw out a mention for the Menands district? It operates a high-quality K-8 school with wonderful income and racial diversity (48% white, 22% black, 11% Hispanic, 20% Asian.) I guess the point I'm making is that not all suburban districts are the same. That said, as the parent of a girl who'll be going off to school in a few years, I'm envious of the elementary options offered in Albany. Montessori, language-immersion, etc. I agree with Bob. I am sick of being looked down as an uncultured, therefore intolerant, person for choosing to live in the suburbs. My workplace, in the suburbs, is full of diversity and all those people live nearby. My future children will be exposed to those cultures. I don't need to extend my commute by 1 hr a day and double my taxes to accomplish that. Also I really like a yard to run my dog in. If you choose to live in the city, I am sure it's for equally valid reasons. The most important thing is that you love where you live. I think living near where you work is a perfectly acceptable reason to live in the surburbs or the city. Commuting isn't something they mentioned in the letter. But hopefully they've thought about the logistics of it. The extra time and money spent, plus once the kid is school age how are they getting to school? Bus or being driven? Will the pick up and drop off times work within the work/commute schedule. Listen to 'The Suburbs' album by Arcade Fire. You will find your answers there. And the new column is great. I look forward to more. Wow! Not only is Miss Pearl great, the comments that it has spurred have been really interesting. As an Albany resident with kids (one in Albany schools and one on the way there) that has spent the last 5 months house hunting looking for something just a little bit bigger for a growing family I feel I can totally relate to Eyeing Bethlehem. What we found is Bethlehem offers less house for your money when compared to Albany so while taxes are lower dollar for dollar (but not nearly as low as other suburbs) it sort of evens itself out, at least in the short term. What will happen to housing prices and taxes going forward is a whole other conversation and debate. We have loved Albany schools so far and the negativity and statistics are overhyped. You get out what you put in and parents have much more control than the media and SED report cards will lead the general public to believe. As Lana points out, commute can become very important and it was for us in our ultimate decision. Working in Albany gave it the advantage for us. The hidden costs, both in time and money, are not easy to quantify for some but can really add up. Also having a walkable neighborhood and access to public transportation was important. Ultimately we choose to stick with Albany. Wish I could tell Eyeing Bethlehem how it all turned out but only time will tell . . .
For what itâ€™s worth: Iâ€™m a somewhat-recent Bethlehem graduate, and have conflicted feelings about my experience there. As Iâ€™m sure is true in other districts, there were fantastic opportunities and some truly memorable educators. 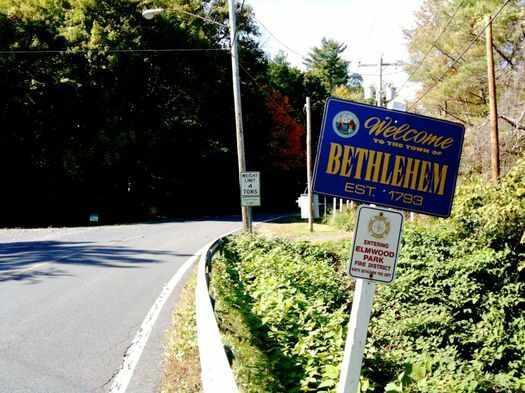 My parents both grew up in Albany but wanted to live somewhere with more open space, and at the time Bethlehem made sense. Another comment mentioned Bethlehem being competitive, and Iâ€™d say yes, it was. Sometimes I think that atmosphere was a hindrance, and sometimes I think that experience taught me how to stay grounded in highly competitive college and workplace environments. In middle school and high school, several of my friends and I got involved in a long-term volunteer project in Albany, which allowed me to meet and spend time with kids from Albany and other public school districts. Itâ€™s obviously not the same as attending school in the city, but it did widen my world view and Iâ€™m grateful. So, opportunities for compromise are out there, and with grounded, supportive parenting your kids can grow, learn, cope, be moody, have fun, and graduate in either environment. I've ranted and raved about city vs burbs enough to make folks sick of it, so here's the quick & dirty. 3) Socio economic factors have a lot to do with graduation rates and it's easy to blame it on schools alone. Albany schools have opportunities above and beyond the suburban counterparts for achiever kids. Teachers there are dedicated and engaged. Parents are also supportive and passionate. 5) City life is green! Albany's affordable property values and uptick in sales activity mean you can likely get a lot if house for your money. There are also a few choose Albany programs to offer down payment and closing cost assistance. Best wishes wherever you choose. Getting involved with capital district community gardens is also a great way to meet people. There are a lot of great volunteer opportunities, events, classes and committees to be involved with. Let's be honest. The "suburbs" are NOT full of diversity. Not in Upstate NY anyway. You're completely delusional if you think they are. All very sound advice Emily. Well done!